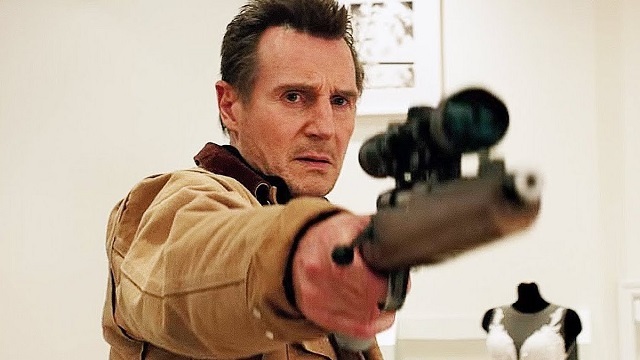 If you have been following Liam Neeson’s filmography, you’d realize that this film is no different from his previous films. Only that it slowly dawns upon you that “Cold Pursuit” wants to be a bloody comedy-of-errors with eccentric characters and a nasty sense of humor. By the time Nels gets closer to his target, we are actually invested in the characters. The small town police to do their bit of solving the sudden string of crimes. Midway through, the narrative suddenly gets propelled by an ensemble of American-Indian criminals who complicate the plot but work in advantage for Nels. Director Hans Petter Moland’s “Cold Pursuit” is a remake of his Norwegian revenge drama, “In Order of Disappearance”, which was released in 2014. And it sticks to its original snowy setting and free-flowing bloodshed. But then given Neeson’s filmography, this film appears as another generic Neeson-esque drama.